If Exuma Point Beach Bar patrons are hoping for high notes to accompany their Punch Cocktail, Elvis points at his wife Maryann for food, beverage, and lead vocal support. “I’m the singer,” Maryann nods. The energetic and ever-smiling couple are a seven-day-per-week dynamic duo overseeing this freshly painted beach bar, complete with a two-tiered deck, 140-foot boat dock, and mile-long stretch of beach as picturesque as any you’ll find in the Exuma Cays. 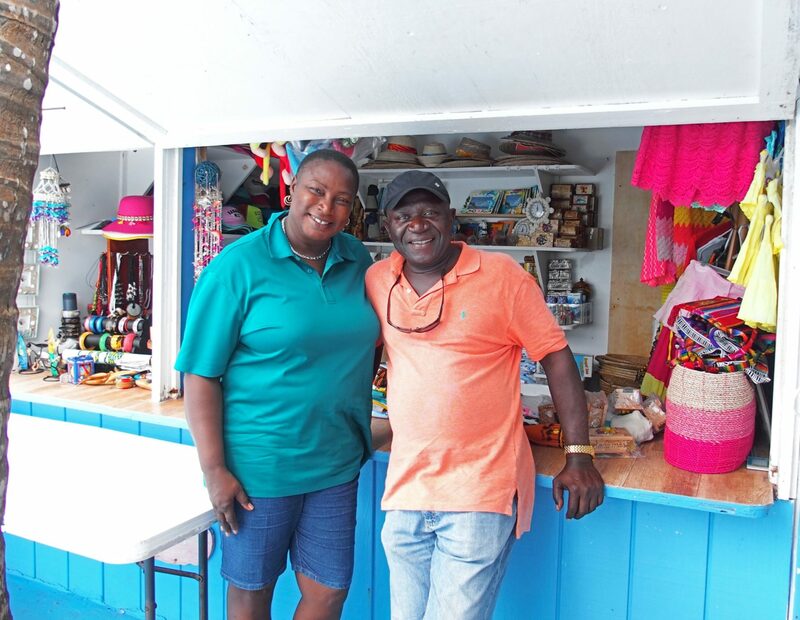 The views, the vibe, and the menu are all music to the soul for patrons venturing to the oceanside town of Rolleville on Exuma’s northeast point. 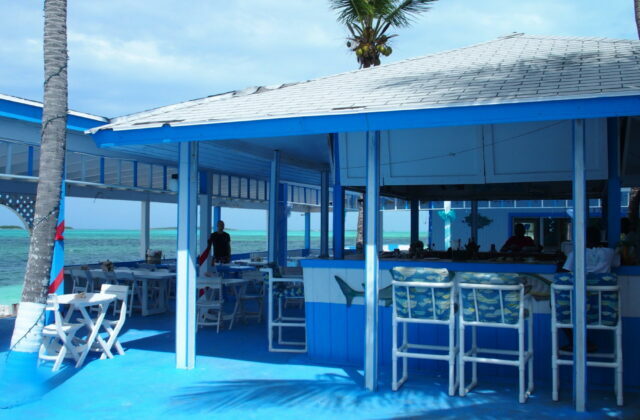 Exuma Point’s sheltered deck is the focal point for customers desiring an authentic Caribbean beach bar experience. 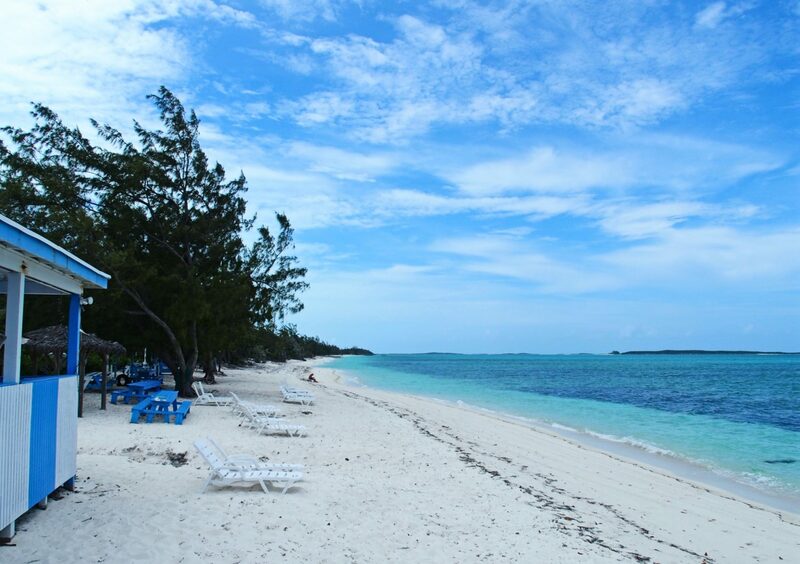 Elvis and Maryann’s beachfront bistro is a favorite stop for sailboats circling the Cays, as well as for day tripping private planes seeking a real slice of Bahamian life. On Sundays, Exuma Point Bar and Grill is known for its brunch featuring Caribbean favorites like grouper fingers, steamed conch, fried snapper, barbecued ribs, and plantains. Maryann recommends a mango daquiri for a refreshing topper to a lunch bursting with a local flavor. If you wish to push the Exuma experience envelope a bit, Elvis invites guests on his 17-foot Boston Whaler boat to see Starfish Bay, the Blue Hole, or swim with pigs. 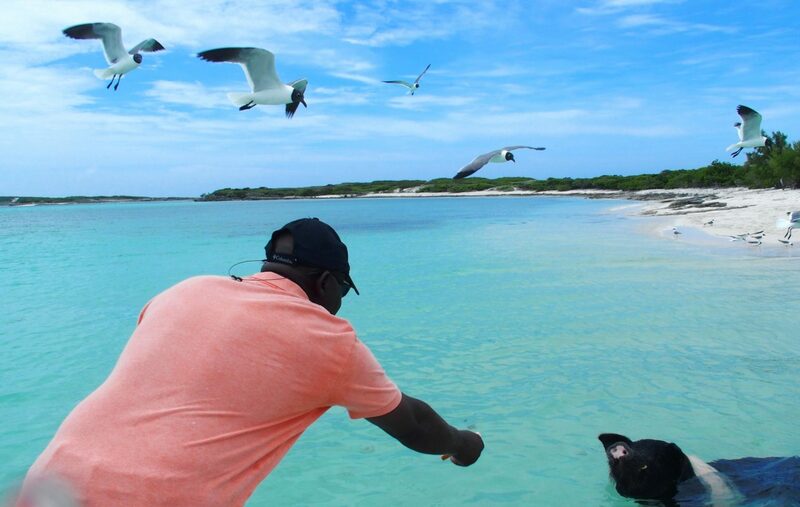 Starfish Bay plays witness to some of the largest starfish on the planet, the Blue Hole features extraordinary diving and snorkeling, and swimming with pigs is one of Exuma’s most popular attractions for mingling with Bahamas’ amazingly buoyant mammals. 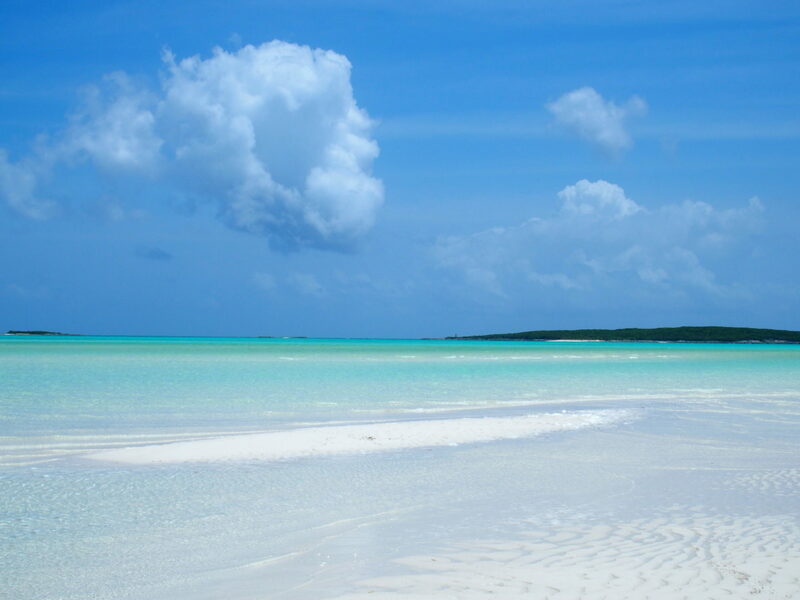 If relaxing in a paradise atmosphere is high on your list, the Exuma Point expanse of white sand is great for beach-combing, reading a book, or exploring the nearby Cave. Legend has it that The Cave was inhabited for five years by a New York Professor seeking to get away from it all. Remnants of his living arrangements are still intact, and this natural dwelling is a conversation starter upon returning to the Exuma Point Beach Bar. Ever the entrepreneurs, Elvis and Maryann recently added three elevated villas on the hill overlooking their beach bar. These immaculate villas offer exceptional views of Exuma’s turquoise water, along with the convenient promise of Exuma Point’s tasty food and beverages just a short stroll away. 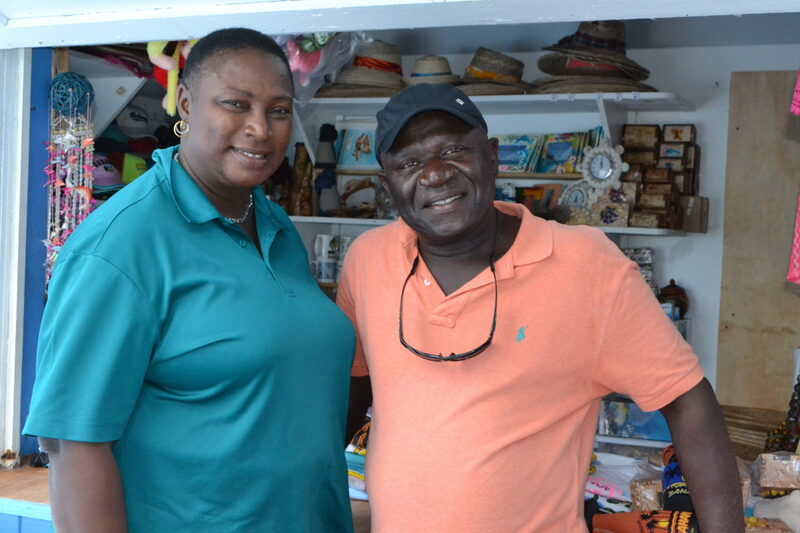 Whether they’re serving a delicious Sunday Brunch, a chilled mango daquiri, or escorting guests on a private boat tour of the Exuma Cays, Elvis and Maryann Rolle have a two-step method for pleasing customers. “We’re all about consistency and commitment. 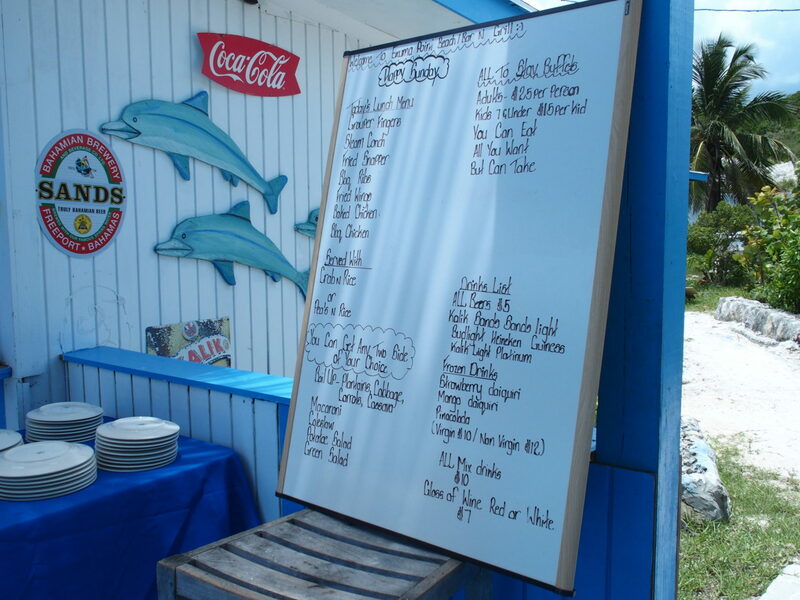 If you want food, drink and service as good as Exuma Point, you’ll have to come back and see us again,” Elvis said. As for singing, the man with the legendary name points again to Maryann. “I’m the dancer of the family,” Elvis said with a smile.